How To Connect MS Access to Oracle Servers? Start MS Access with a new database file. Select Import.... The Import dialog box shows up. Select Files of type: ODBC Database(). The Select Data Source dialog box shows up. Click the Machine Data Source tab. You should see the DSN name "FYI_DSN" you defined earlier. What Is Open Database Communication (ODBC)? How To Install Oracle ODBC Drivers? 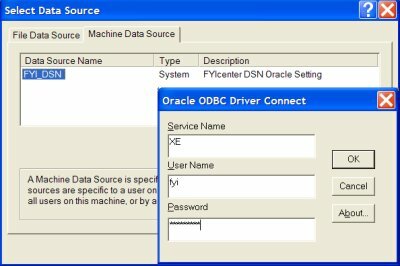 How To Find Out What Oracle ODBC Drivers Are Installed? How Can Windows Applications Connect to Oracle Servers? How To Create Tables for ODBC Connection Testing? How To Verify Oracle TNS Settings? 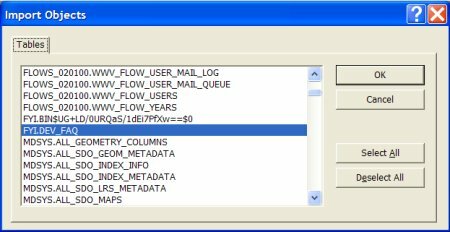 How To Define a Data Source Name (DSN) in ODBC Manager? How To Connect ASP Pages to Oracle Servers?